Turning to its roots blended with today’s quest for sophisticated elegance, Montblanc creates a limited edition destined to be a collector’s piece. 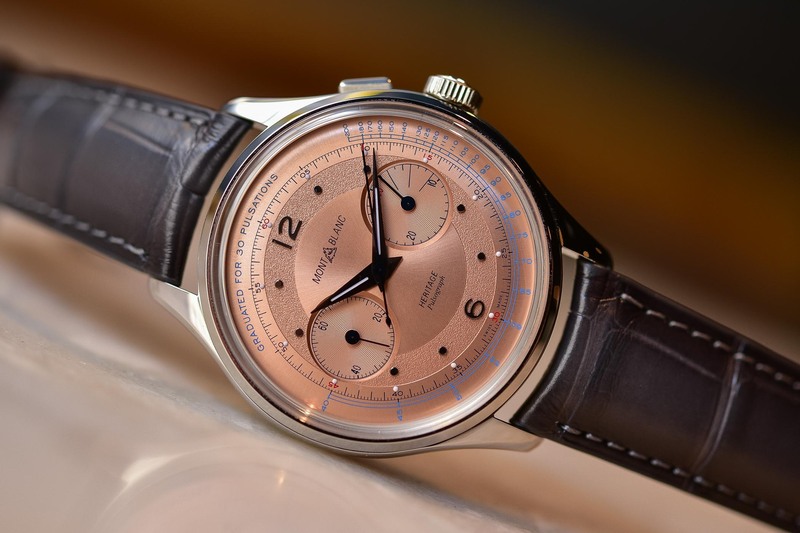 In recent years Montblanc has made a concerted effort to remind watch lovers everywhere of its rich history with Minerva, the Villeret-based manufacture that it owns and that is known for its incredibly beautiful chronograph movements. 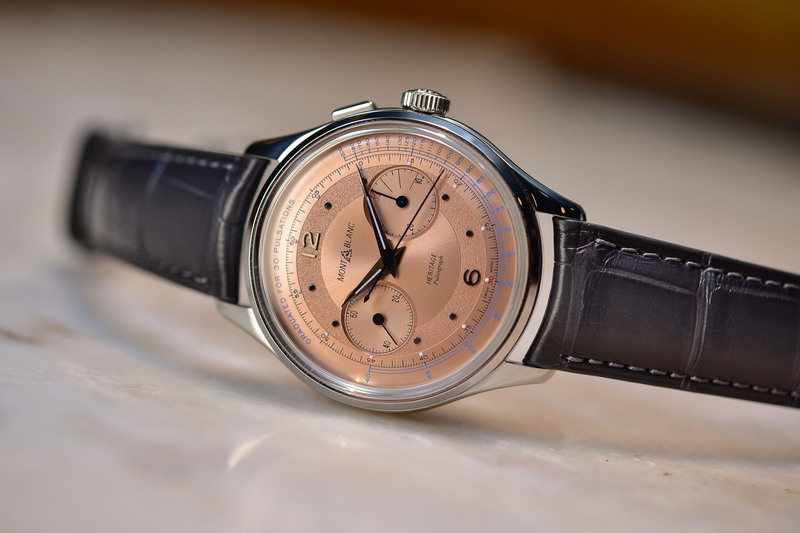 Now, Montblanc further underscores that commitment to integrating Minerva’s finest handcraftsmanship with its state-of-the-art watchmaking to create new Heritage pieces inspired by the 1940s and 1950s – not the least of which is the new Montblanc Heritage Pulsograph. A steel case, a salmon dial and a Minerva 13.21 combined in a superb watch. Deftly blending past influences with an updated spirit of sophistication and elegance, Montblanc revisited its Minerva archives – purposefully selecting the era of chronograph innovation and timeless designs that were a high point in the mid-20th century. 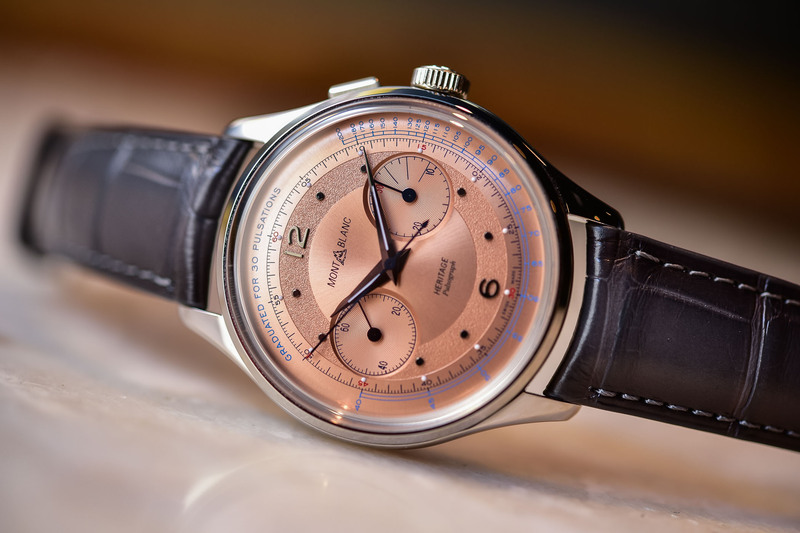 This year at SIHH 2019, the brand unveils its newest Heritage product line that embraces design codes from the 1940s and 1950s – codes such as domed dials with two zones, dot and numeral combinations for markers, and a return to Arabic numerals. The brand also employs bold and beautiful use of colour, with dials that range from smoky caramel to salmon or sleek silver with blue accents. The brand even utilizes box-like sapphire crystals as a historical reference and to allow for a more open view of the nice domed dials. While the new Heritage collection includes three-hand watches, automatic chronographs, and even a new perpetual calendar, the highlight piece is an alluring Montblanc Heritage Pulsograph. The watch, created in a limited edition of 100 pieces and not expected to hit stores until June 2019, is the embodiment of history and modernity. Lovingly referred to as a doctor’s watch, the pulsometer enables the measurement of heart rate. In the 20th century, many physicians invested in this watch as it was considered a highly accurate way to check their patients’ heartbeat. 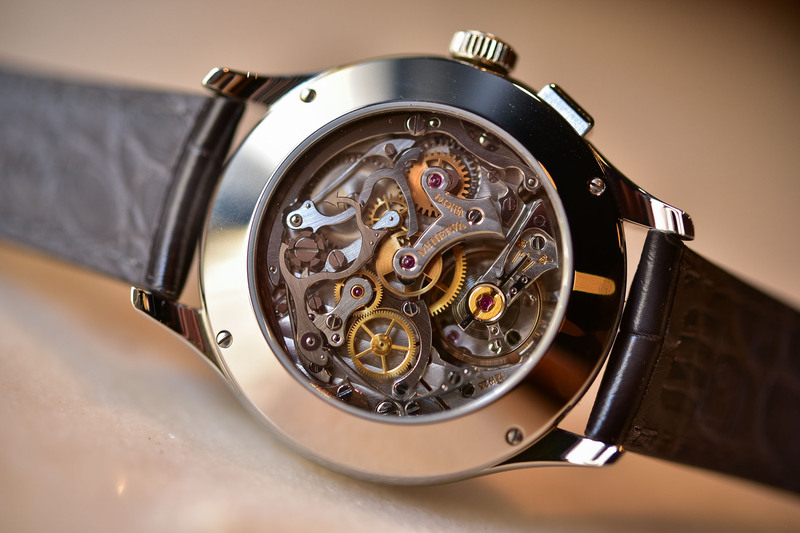 Today, the pulsometer is considered an iconic subset of watchmaking, and one of the most coveted by collectors. 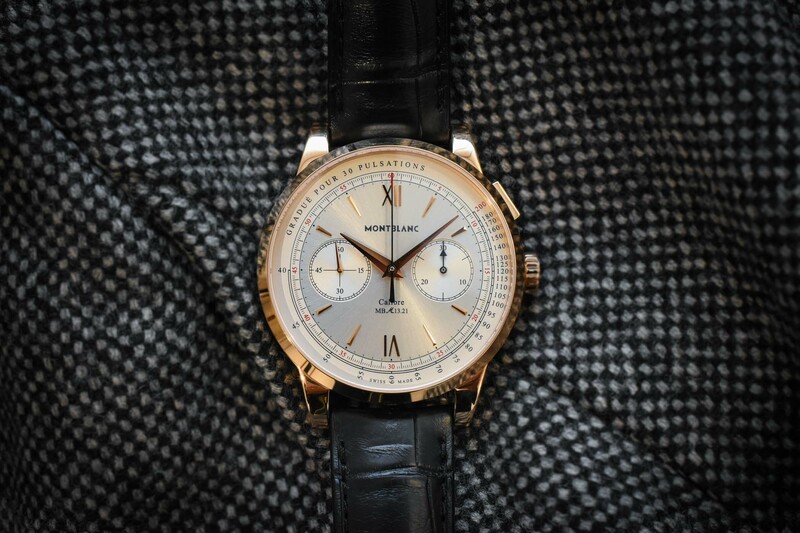 The Montblanc Heritage Pulsograph, though, is also a chronograph and is both incredibly functional and beautiful. The 40mm watch is crafted in stainless steel and features a distinctive salmon dial – a combination of cold metal and warm colour that always works! 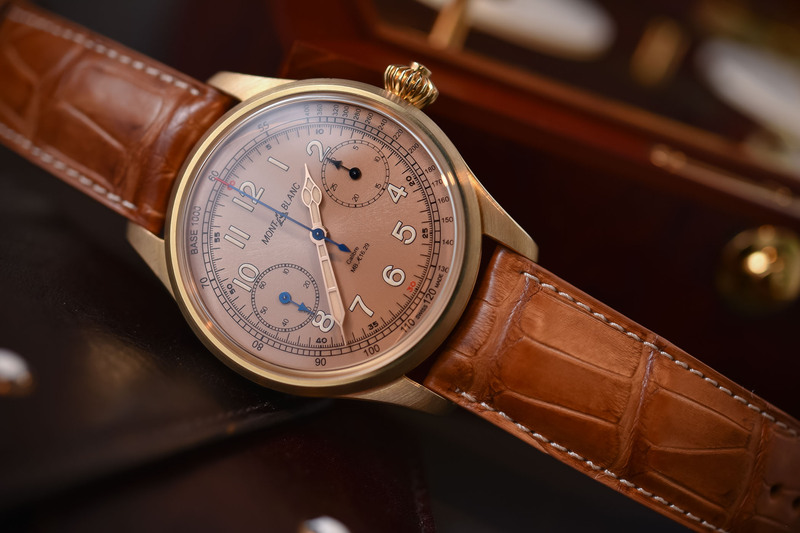 The dial is punctuated with applied anthracite Arabic numerals and dots as the indexes and is domed with two different colours and finishes, as well as an outer minute track for a truly vintage appeal. 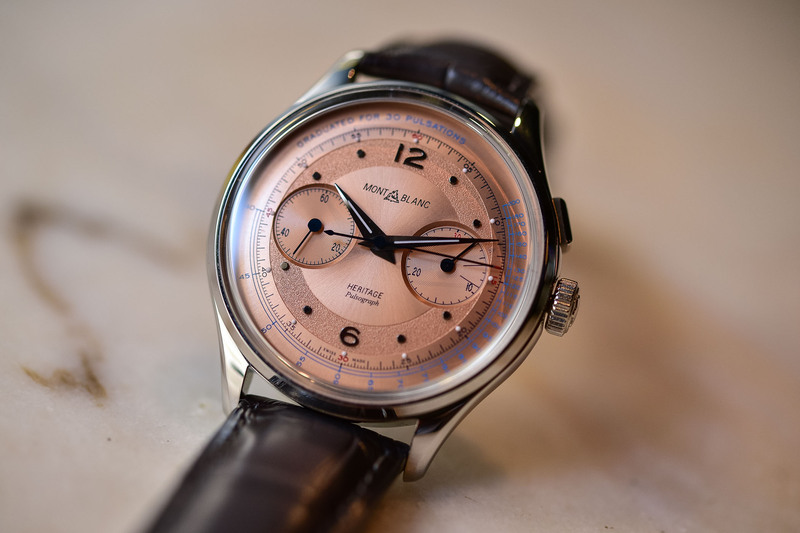 The hour and minute hands are Dauphine shaped and bent according to the curve of the dial. They are coated with Super-LumiNova for easy reading. The blued baton hands offer the other function indications. 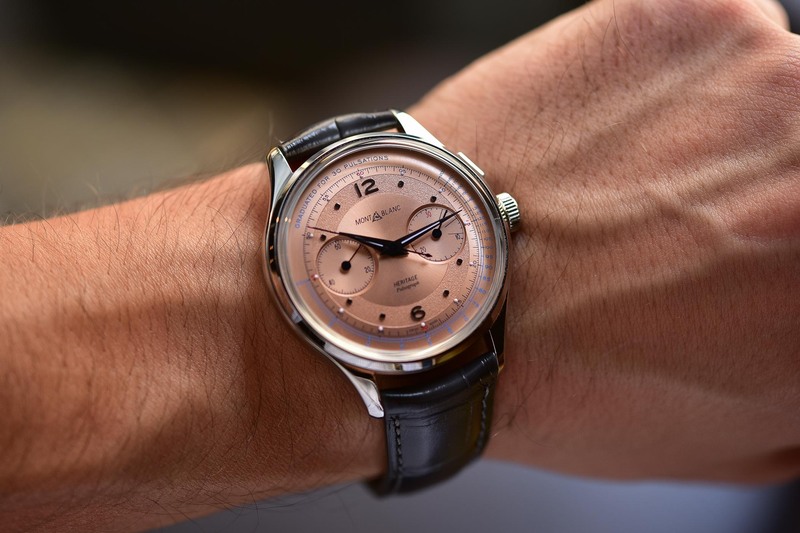 The 2019 Montblanc Heritage Pulsometer is equipped with the Montblanc Manufacture Monopusher Chronograph calibre MB M13.21 with column-wheel chronograph, which is visible through the caseback. This calibre is based on and inspired by the historical Minerva Monopusher Chronograph 13.20 calibre that was developed in the 1920s. The movement has been used in other Montblanc watches over the past years (here and here) and is considered extremely reliable. It offers a pulsograph indication graduated for 30 pulsations. Additionally, the chronograph minute counter features the vintage payphone-inspired indications of 3, 6 and 9 o’clock. The main plate is adorned with circular graining, while the bridges – including the nice V-shaped chronograph bridge – are adorned with Geneva stripes and the steel levers and springs feature straight graining. All countersinks are mirror polished and there are plenty of gorgeous polished bevels. All done by hand – of course! Each watch is water-resistant to 5 bars/50m and has been certified as having successfully undergone the brand’s Laboratory Test 500 (hours). The Montblanc Heritage Pulsometer is offered with an anthracite sfumato alligator leather strap from Pelletteria Montblanc. As mentioned, just 100 pieces will be made, each retailing for EUR 28,000. More information at www.montblanc.com. I want it!! So beautiful it hurts!! 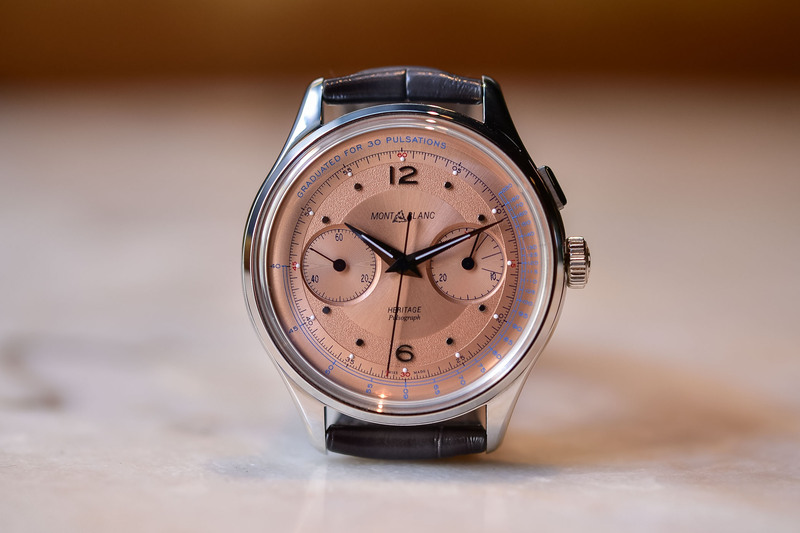 I find Montblanc for the last couple of years is coming on strong and is rapidly becoming one of my favorite maisons. Great piece!! stainless steel…28K? ?…why exactly?…seems that Richemont is working hard to gather fans close…. They’ve set that ridiculous price before on the SS 1858 limited edition, Itzhik. 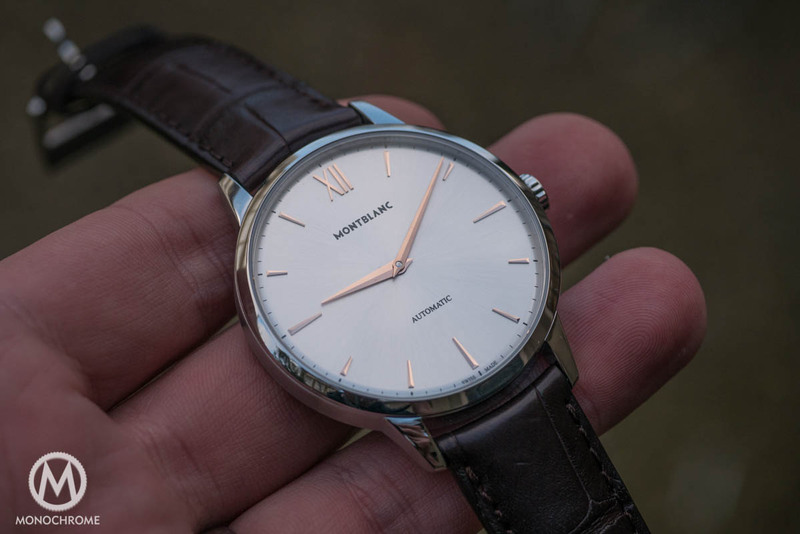 Thinking about the recent daft price for the limited edition JLC Cellini, it seems to fit with their usual policy. 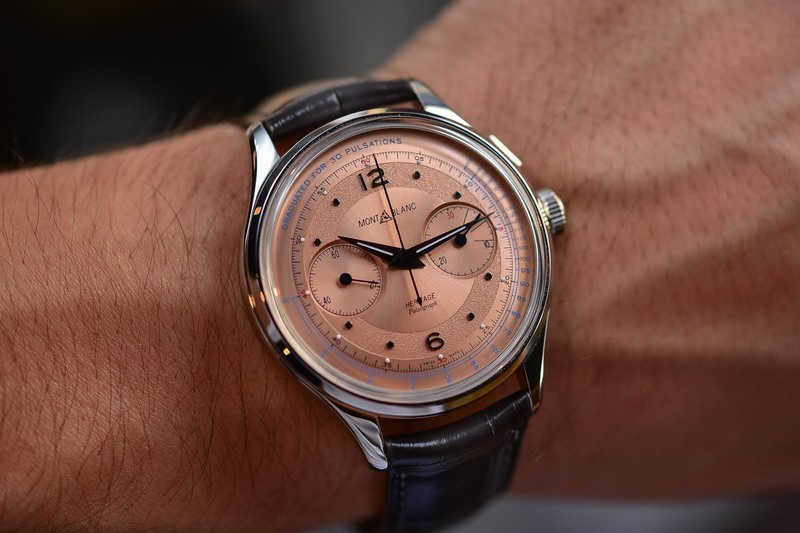 The major issue of Montblanc-Minerva for me is still the dial side, not the price. 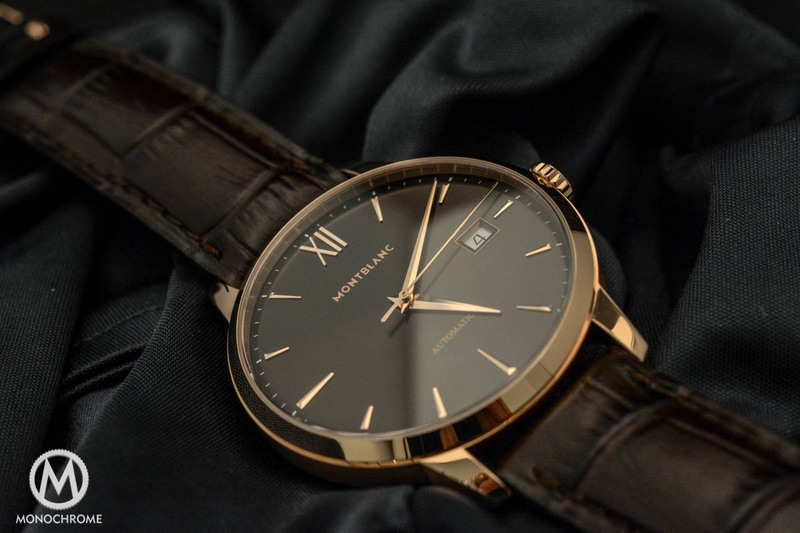 I like Minerva movements very much, more than Patek or Lange. Beautiful but $36,446.47 is a tad on the steep side for a stainless steel watch. Gil, I simply fail to understand whether a salmon color dial is a justification for that premium. The Minerva chrono caliber 13.21 has certainly its history. 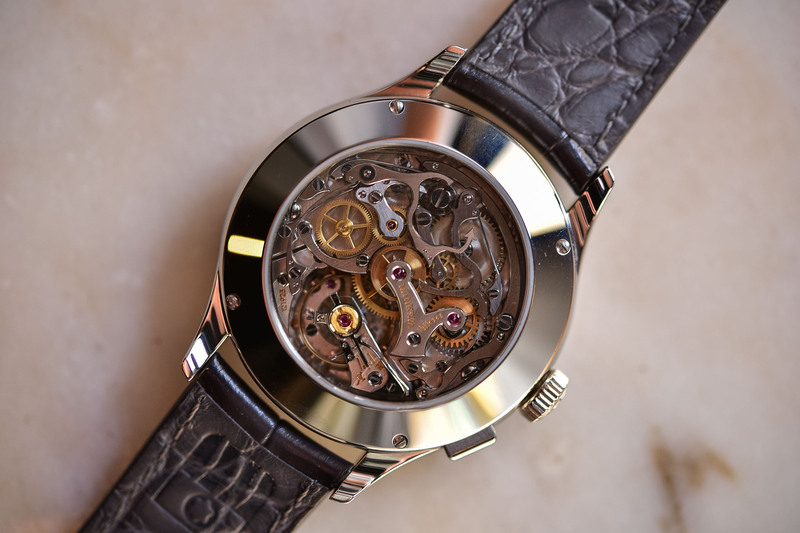 However, when I look at the movement, I do not see anything in its finishing, no brass-made movement, no blued screws, nothing exceptional indeed in addition to the steel case to explain the price….sometimes it seems as sort of an insult to the intelligence of potential buyers..